“The new world was brought down by your quakes and leveled by your wind and sunk by your flood. Some of your children managed to survive and they floated below us and when they saw you in the sky, they said, mother bear, please forgive us. You forgave your surviving children. We came down from the sky and the children climbed onto our backs and we brought them back to the old world. Is the old world still there? the grotesque child asks the soft animal. 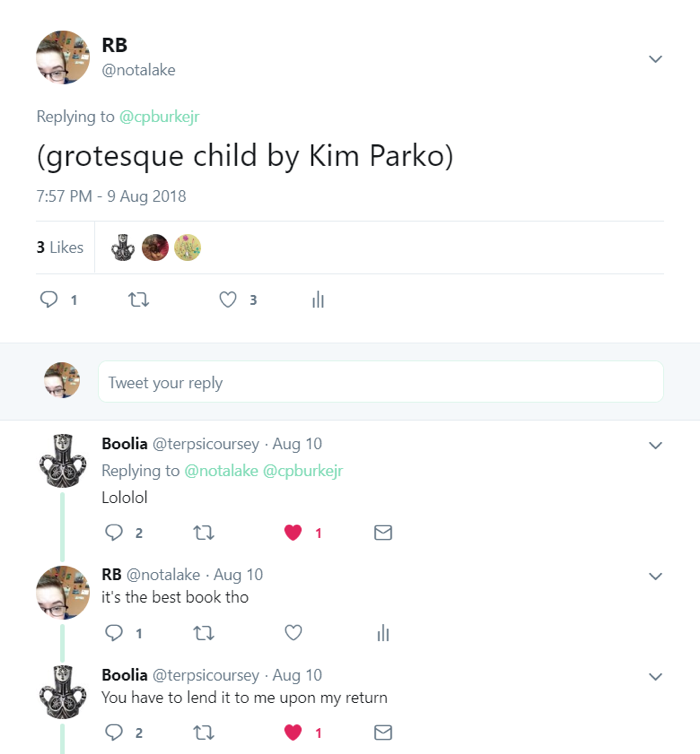 I don’t think I know how to write a review of The Grotesque Child by Kim Parko. Ever since I read The Grotesque Child this thing keeps happening where my friends will say something and it will remind me of something about The Grotesque Child*. 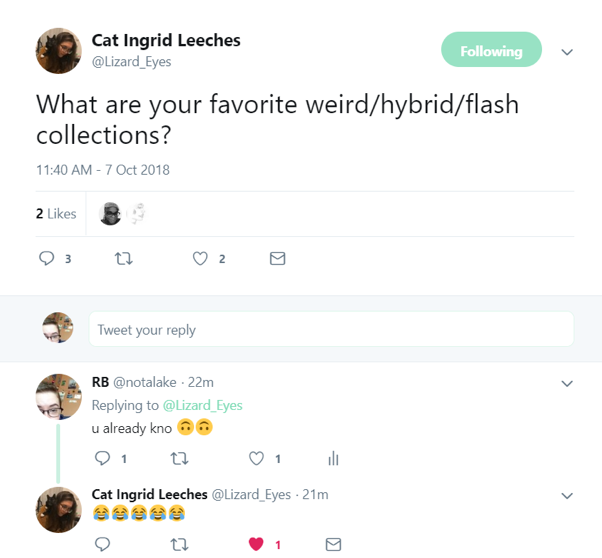 This is not because The Grotesque Child is a collection of things, though it is, but rather that The Grotesque Child asks its readers to imagine a different way of putting these things together and in this new imagining I found myself thinking about putting things together in different ways as well. 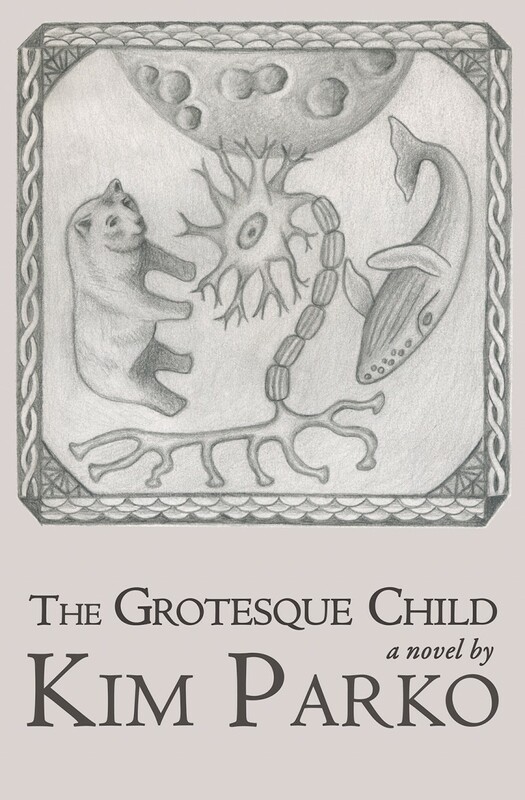 The Grotesque Child is about an animal inside a child inside a ship inside a world. Perhaps, The Grotesque Child is not about any of these things. If you read The Grotesque Child, you will be asked to consider the duality of many things. The animal is alive and it is not. The mothership is not a mother til it is. The healer is a healer and also a doctor. These two things are not the same. In this way, the duality of the world of the book with ask you to think about the duality of the world around you. What is the soft animal that is inside of us? How is that animal alive and dead at the same time? What creations have we birthed? How can the blood of our bodies be completely kind and completely cruel? How can the mother exist to only give birth again and again to creatures that can only die? In The Grotesque Child, every door opens another door. In The Grotesque Child, Kim Parko creates a new kind of mythology. This mythology feels both familiar and continually surprising. Ursa Major becomes the mother of a dying world and so she destroys it. The mothership becomes Ursa Major and faces the same dilemma. The grotesque child is the child-not-borne of the mothership and could become a mothership in the end. 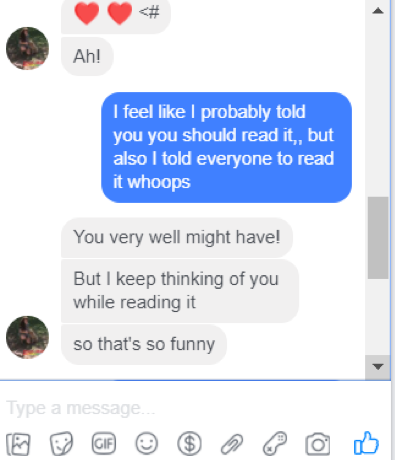 The mothership is the I of the speaker and the I of the reader and “womanhood” and “femininity” and a rejection of what you might expect that to look like. 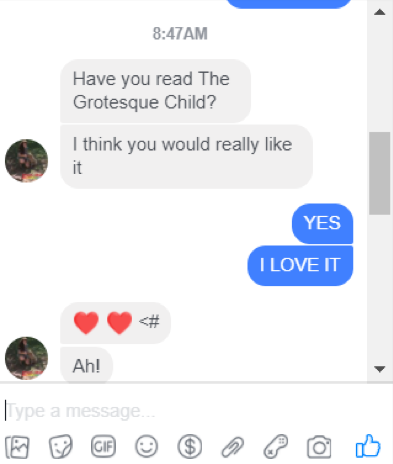 I don’t think I know how to write a review of The Grotesque Child.